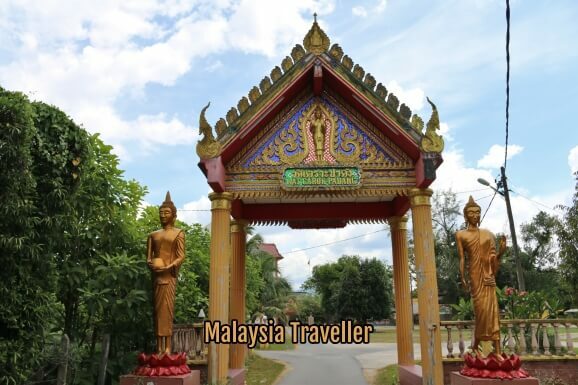 Wat Charok Padang, or the Glass Bottle Temple, is a Thai Buddhist temple near the town of Sik, Kedah in northern Malaysia. 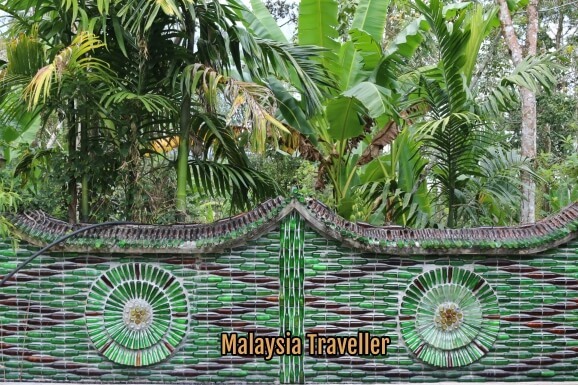 It is decorated with 100,000 green and brown glass bottles, hence its nickname and it is usually described as the only glass bottle temple in Malaysia. 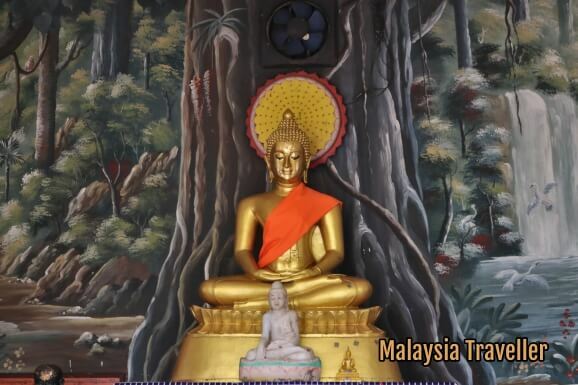 That's not quite true as there is a small temple in Melaka which incorporates recycled bottles into its decor. 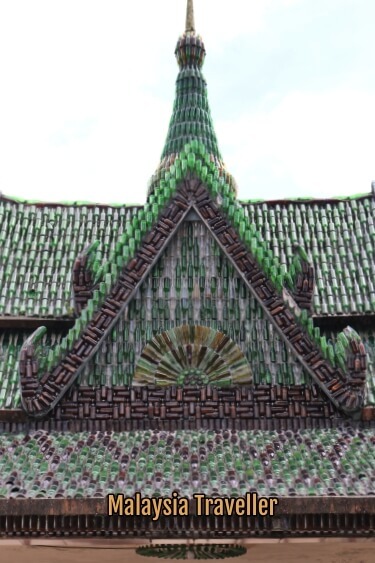 There is an older and more famous glass bottle temple in Thailand called Wat Pa Maha Chedi Kaew in Sisaket Province. 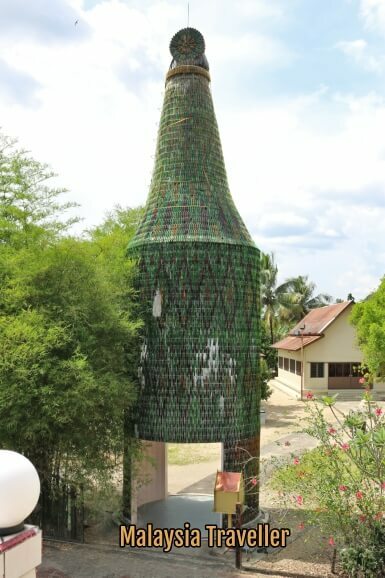 That temple is made of old beer bottles whereas this one in Malaysia is decorated with non-alcoholic beverage bottles. 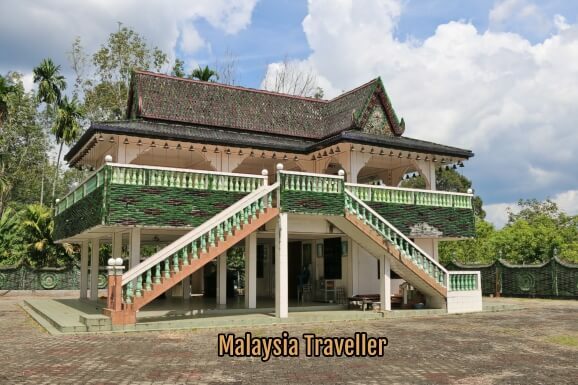 Wat Charok Padang (sometimes spelt Wat Caruk Padang) comprises a compound with a small glass covered pavilion, a larger two storey building also covered in glass bottles, a giant bottle structure made up of thousands of small bottles, a 3 storey hall, monks' residences and other structures. There appears to be a Thai language school here (sekolah bahasa siam). 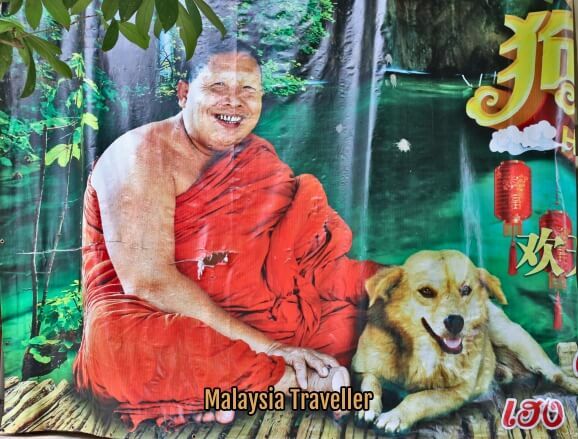 The chief monk, Phraathikam Nuem Awudthamo. On display is the remains of a wooden boat, thought to be hundreds of years old which was discovered in 2010 by youths fishing in a nearby river. 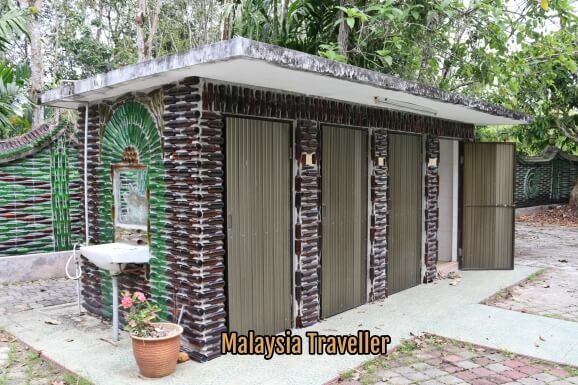 Glass bottles make an interesting construction material and the builders have achieved some attractive results with their designs which arrange bottles embedded in concrete. Glass bottles are easy to obtain, cheap, durable and attractive and if they have been used before and recycled that is a creative way of handing waste material. The shiny two-tone glass glints in the sunlight like a poor man's version of those semi-precious stone-encrusted temples that you can find in Bangkok or Chiangmai. Even the toilets are decorated with bottles. 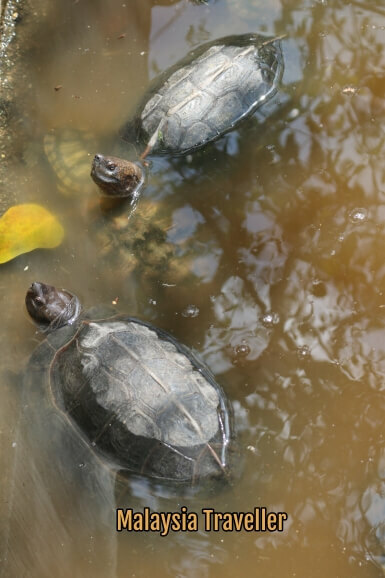 There are some turtles in ponds and a number of kampung chickens roaming around the spacious temple compound. The twelve animal symbols of the Chinese zodiac are featured, each accompanied by a Thai character. 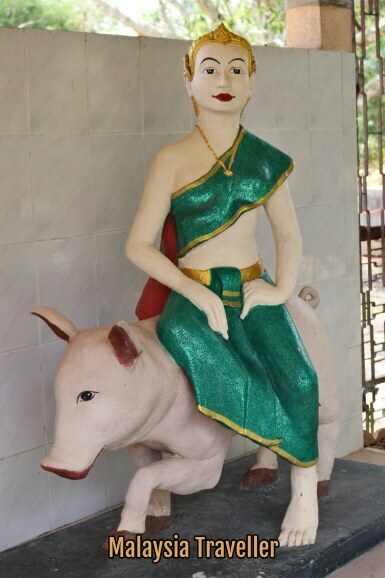 Since it is now Year of the Pig I chose this one. 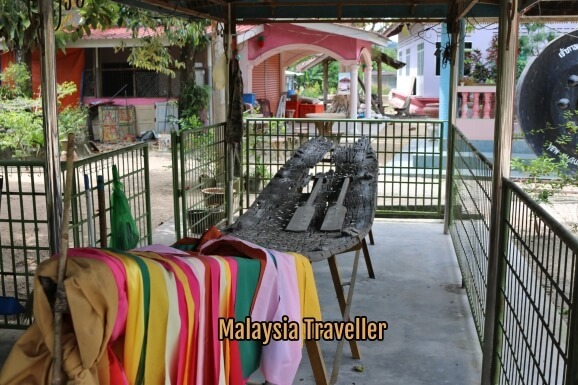 Charok Padang is in a rural area quite a long drive from anywhere (1 hour 15 minutes from Penang Bridge for example) but the scenery is pleasant so just enjoy the ride.